I have ONE special little boy in my life and that's it. Nevermind that he's eighteen and looks like he could be a linebacker for a the New Orleans Saints. He's still my little boy and he still LOVES Crocodiles. When it comes to Valentine's day it's hard to find him "treat" related things. Valentine's day is centered toward women. Let's be honest here.....IT'S ALL ABOUT US....not that I'm complaining. 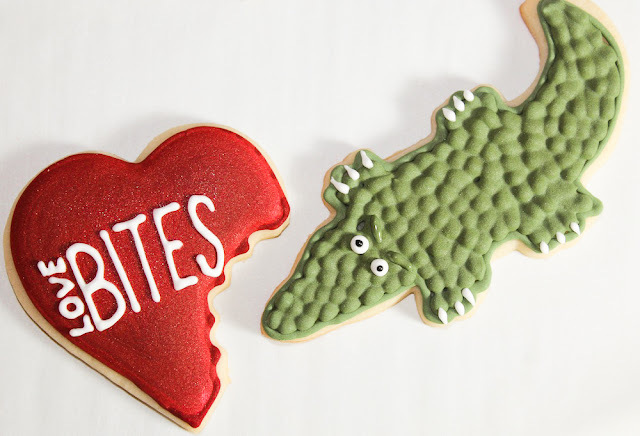 So when Valentine's day rolls around I always try to find him things with Crocodiles or Alligators. Educational fact: Alligators have a round snout and crocodiles have a more pointier snout. Just thought I'd toss that bit of education in there, ya know, so we can learn here. 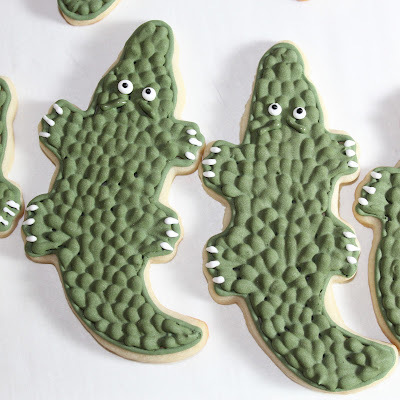 I think this cookie could go either way, but I'll call him a crocodile. Maybe it's because of the years of watching Crocodile Dundee with my son. Who knows. Yesterday I showed you how to make Love Bites cookies. Pair those with a crocodile cookie and you have a perfect treat for your special little boy on Valentine's day. If your gonna make your little man some cookies, you're gonna need to know how right? 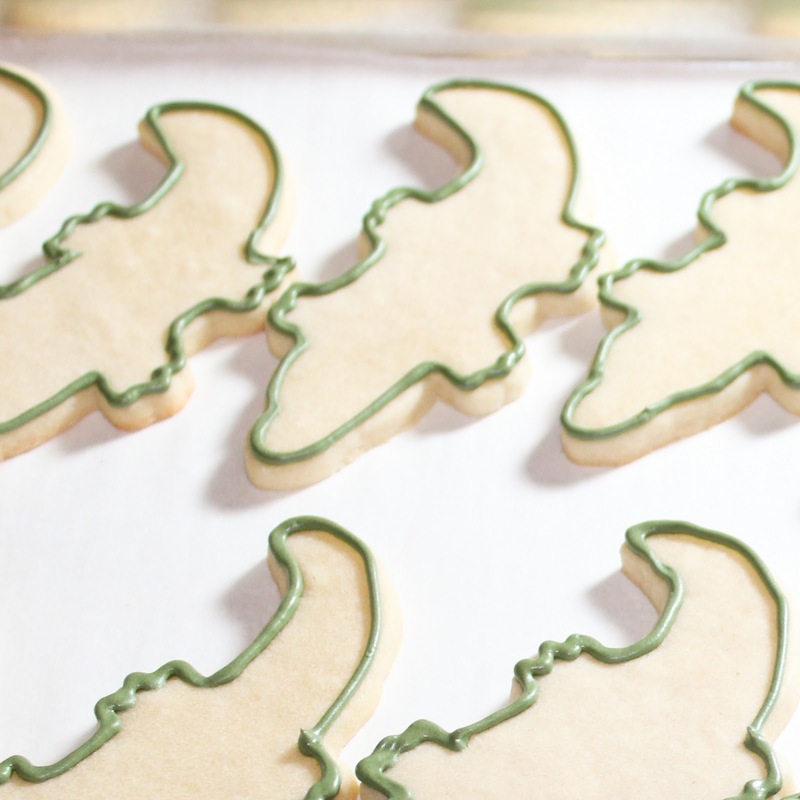 Ok let me show you how to make these adorable cookies. First start with Crocodile shaped cookies baked and cooled. 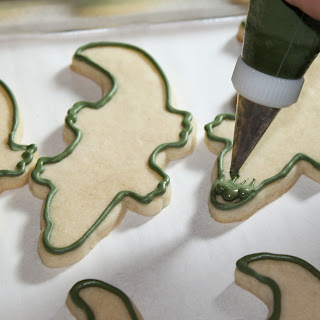 Next outline cookie with #2 tip and avocado green royal icing. Allow that to dry for about 15 min. Then we begin making the texture on the crocodile. Still using the #2 tip and green royal icing we will pipe a bead of icing then release pressure while pulling downward. 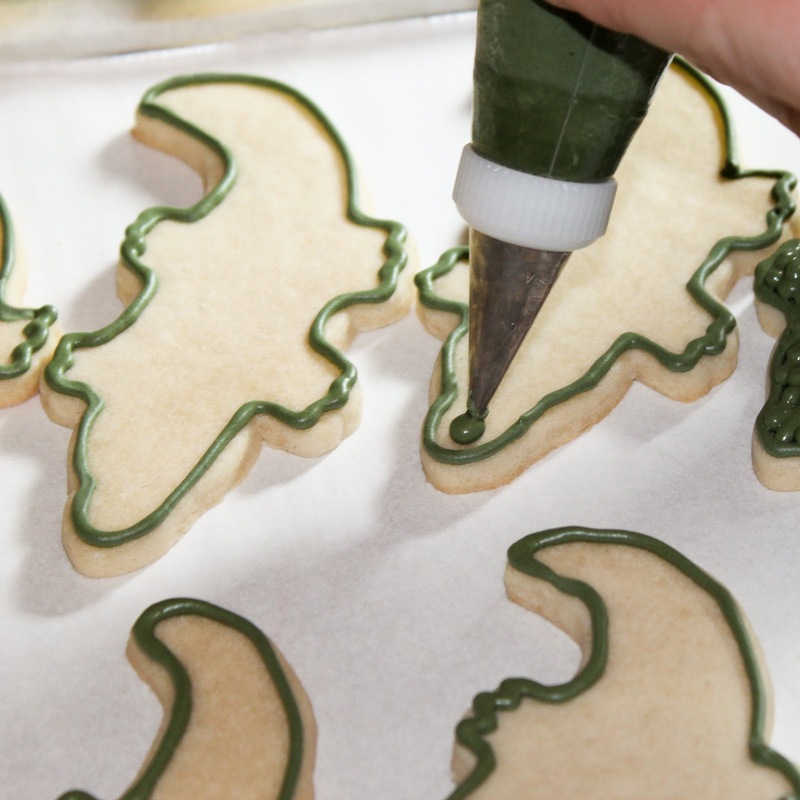 This may take a bit of practice and you can practice on a piece of wax paper ahead of time. Don't get frustrated if you can't do it at first, it's easier than it seems. Just keep practicing. Work in rows going across on the crocodile. Continue doing this until the entire cookie is filled. When you do the arms and legs, do the piping in a different direction. Working away from the foot and toward the body. 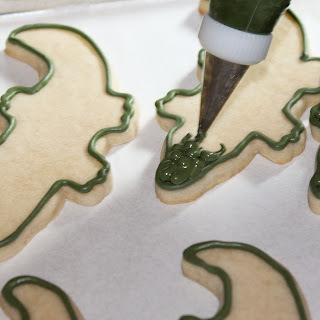 When entire cookie is filled, allow to dry overnight. Then add face details and claws. Then let dry a few hours. He's really easy to make and you can have a special Valentine's treat for your little man....or big man. 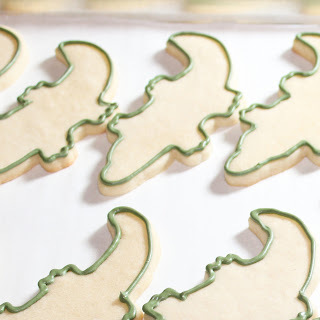 These are great, and I love the tutorial, I'll have to give it a try! I have NO patience what so ever.....It didn't take me too long because I used outlining stiff royal icing. So there was no wait between rows or anything. Did cramp my hand up. I just completed an order of these and thought what was I thinking selling these. They're a killer on my hands. 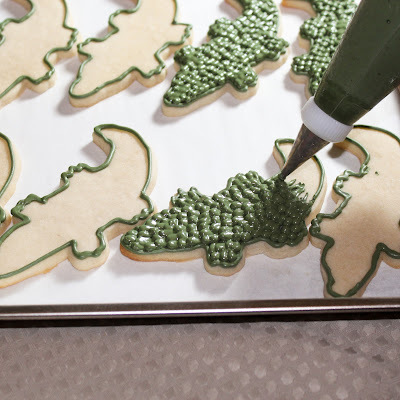 So cute, I wish I had the patience for cooking decorating, oh well, will stick to my art work! Fun blog!